(October 14, 2015 – Boulder, Colorado) – On October 6, 2015, the Board of Directors of Intermountain Rural Electric Association (IREA) voted to approve a contract with solar developer juwi Inc. (juwi) in a first step toward building IREA’s first utility-scale solar array. IREA sought proposals in June of this year for the construction, operation, and maintenance of a solar photovoltaic generation facility that will deliver solar energy to the Association under a power purchase agreement. The project will be developed in Adams County near IREA’s Victory substation. The approximately 13 megawatt (MWac) “Victory Solar” project is scheduled to be in commercial operation by the end of 2016. “The construction of a utility scale solar project at a location adjacent to our existing infrastructure allows us to obtain renewable energy at a competitive price,” said Josh Liss, IREA’s Public & Regulatory Affairs Director. “It’s a win-win for the Association and our members,” he said. Improvements in technology, cost reductions, and federal tax incentives currently in place create an opportunity to purchase energy from utility-scale solar projects at historically low and competitive prices. Siting the project near existing IREA facilities was instrumental in reducing the cost of the project. The project will help IREA achieve compliance with the state’s Renewable Energy Portfolio law and the rural electric co-op expects to save money on power purchases over the life of the project. IREA also is evaluating the possibility of making a portion of the power available to IREA subscribers in a community solar garden arrangement. Such a program would benefit those who would like to purchase solar energy for their use but are not situated to add panels to their home. 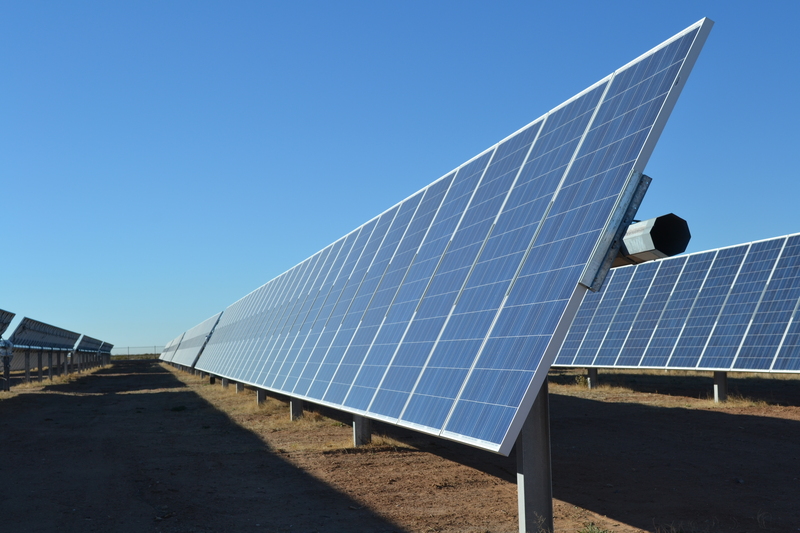 When completed, the Victory Solar project will represent the third utility-scale solar project in Colorado developed, built and operated by juwi. All three projects are scheduled to be completed by 2016.